Good things come in small packages and this is a must see property. Fantastic outdoor living abounds with a completely private large back patio area plus covered front porch area with great mountain views. 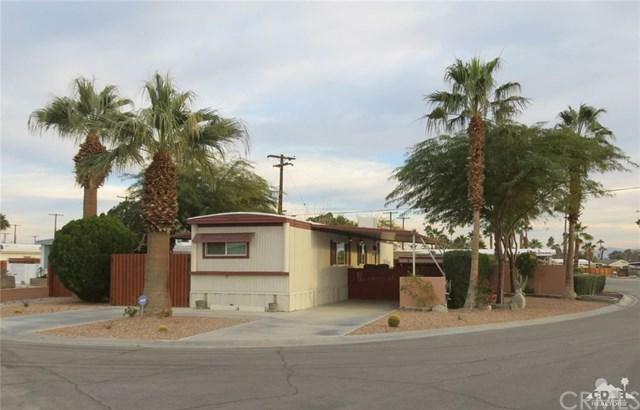 Very neat and clean home has 720 square foot plus additional add on of approx 200 square feet. 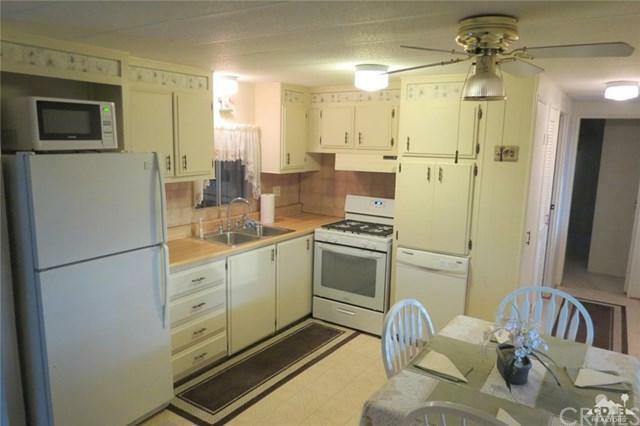 Rare two bed two bath single wide with bedrooms on opposite ends for privacy when having guests. 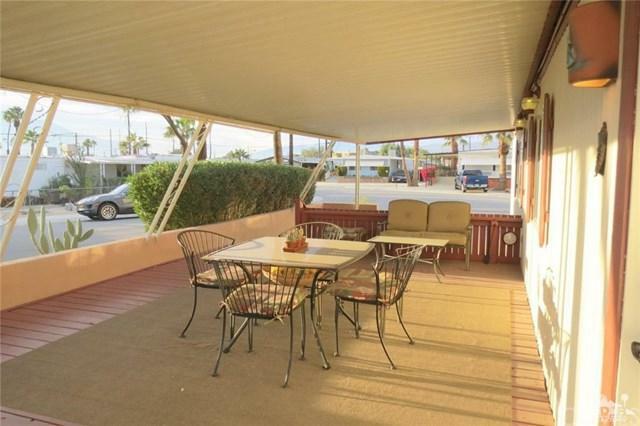 Located in the lower HOA fee section of Tri Palms Estates a 55+ golf course community. You own the land and two deeded owners of record receive unlimited golf on par three nine hole or eighteen hole regulation course. 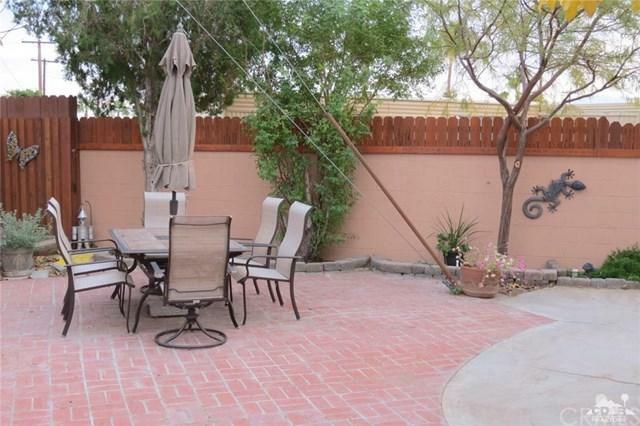 Tri Palms is centrally located in the Coachella valley and close to all desert happenings. Come enjoy affordable California Desert living at its best. Golf cart is included! !